The charge of drug trafficking is largely determined by the weight of the illegal substances involved rather than the actual movement of the drugs. Depending on the circumstances surrounding your charges, be aware that you could face up to 20 years in state prison, as much as $35,000 in fines, a suspended driver’s license and an entire litany of additional consequences. Because of the serious nature of drug trafficking charges, contacting an experienced New Jersey drug lawyer at the Law Office of David Jay Glassman prior to your indictment increases your chances for positive results. Should you also be charged with intent to distribute within 1,000 feet of a school zone and be convicted, you receive a mandatory jail sentence of 36 months. A conviction of intent to distribute within 500 feet of a city park, public housing or a public library could result in a mandatory sentence of five to ten years in prison. Should you have a handgun in your possession when you are charged with drug trafficking, a conviction could lead to 10 to 20 years in prison. The New Jersey criminal defense lawyer at the Law Office of David Jay Glassman focuses on all aspects of your drug trafficking charges from indictment to plea bargaining, trial to sentencing. 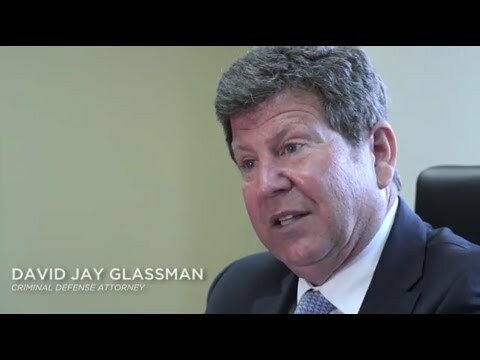 Mr. Glassman plans ahead and implements every creative solution available to obtain the most positive outcome for your unique situation. Drug distribution is a felony, so chances are you have most likely been under surveillance by the police or the FBI for the charges to be brought against you. With the prospect of mandatory minimum sentences, fines and other severe penalties being brought against you, you should have skilled representation by an attorney who conducts a thorough investigation. That investigation may discover where your constitutional rights were violated, whether the evidence was collected in a legal manner, and if other errors were made that could invalidate the evidence against you. Not all criminal defense attorneys are capable of mounting a successful defense in complex criminal cases. The criminal lawyer you choose will have a huge influence on the results of your case. Our legal team at the Law Office of David Jay Glassman is committed to providing each and every client with as much information as possible to reduce their level of fear and anxiety when facing criminal charges. Our founding attorney has practiced law for more than 30 years and has a stellar reputation as a New Jersey drug crimes lawyer who delivers in a crisis. From our offices in New Brunswick, Marlton, Newark and Hackensack, our legal team handles cases throughout New Jersey. Call us today for your free consultation at 866-221-1270 or contact us online to receive highly skilled and experienced legal representation.